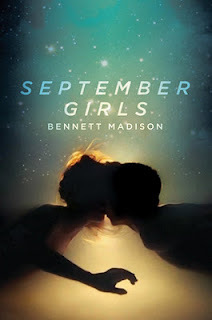 Bennett Madison is the author of several books for teenagers, including The Blonde of the Joke (HarperTeen 2009) and September Girls (HarperTeen 2013). He has also written a few other books and some other things here and there. He grew up in Takoma Park, Maryland, went to Sarah Lawrence College, and lives in Brooklyn, New York. Bennett’s former occupations include: phone psychic, clothes-folder, no-nonsense receptionist, and writer of not-very-good cartoons. Good move. I don't want you to DNF another book haha. Eeekk, I've been pretty pumped for this. Blaming the cover. But I've read tons of negative reviews. And really negative ones at that. And I only got an egalley like you so reading it would be twice as hard. Thanks for the honest review, Sab! Super nice and dreamy cover. Tsk. I'm saving myself from reading this but I love reading reviews.